A NEXT LIBRARY® event is an international gathering of forward-thinking library professionals, innovators and decision-makers who are pushing boundaries and making changes that support learning in the 21st century. Created by Denmark’s Aarhus Public Libraries and first presented in 2009, the purpose of a NEXT LIBRARY® event is to look ahead and explore the continuously evolving nature of the public library in the 21st century. For the first time and in partnership with Aarhus Public Libraries, the Chicago Public Library and the Urban Libraries Council brought the NEXT LIBRARY® Conference to North America on June 20-25, 2014, at the Chicago Public Library. NEXT LIBRARY® Satellite Conference in Berlin in cooperation with German Federal Cultural Foundation, the Kulturprojekte Berlin GmbH and Aarhus Public Libraries. NEXT LIBRARY® is more than a conference; it is a community that has grown to more than 1500 library leaders and innovators from 96 countries around the world. The NEXT LIBRARY® global kaleidoscope includes Albania, Argentina, Armenia, Australia, Austria, Azerbaijan, Bangladesh, Belgium, Bhutan, Botswana, Brazil, Bulgaria, Burkina Faso, Cameroon, Canada, China, Colombia, Costa Rica, Cote d’Ivoire, Croatia, Czech Republic, Denmark, Egypt, Estonia, Ethiopia, Faroe Islands (Denmark), Finland, France, Georgia, Germany, Ghana, Greece, Guatemala, Haiti, Hungary, Iceland, India, Indonesia, Ireland, Israel, Italy, Jamaica, Japan, Jordan, Kazakhstan, Kenya, Latvia, Lebanon, Lithuania, Macedonia, Malaysia, Maldives, Malta, Mexico, Moldova, Mongolia, Montenegro, Myanmar, Namibia, Nepal, New Zealand, Nigeria, Norway, Pakistan, Palestine, Peru, Philippines, Poland, Portugal, Qatar, Réunion (France), Romania, Russia, Saudi Arabia, Serbia, Sierra Leone, Singapore, Slovakia, Slovenia, South Africa, Spain, Sri Lanka, St. Lucia, Sweden, Switzerland, Tanzania, The Netherlands, Thailand, Uganda, Ukraine, United Arab Emirates, United Kingdom, USA, Uzbekistan, Vietnam and Zimbabwe. 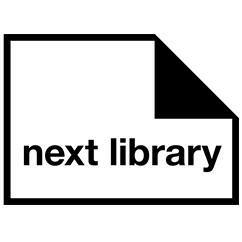 The format of Next Library 2017 was a further development of “the Next Library Concept”, meaning a “patchwork” of co-learning, co-creative, participatory, engaging, pluralistic and interactive meetings, and lots of parallel sessions, great keynote speakers, wildcard sessions, demos/exhibitions, gaming, Networking Dinner Party, Get2Gether, Social un-conferences, alternative events and surprises. The program included site visits to the newest and most innovative libraries, cultural institutions and technology innovators in Denmark, e.g. In order to create the most inspiring and learning environment with optimal conditions for participatory, engaging and interactive meetings and knowledge sharing for attendees NEXT LIBRARY welcome participants, library organisations and related partners from libraries all over the world. Diversity, recognition, engagement and network are key factors for the success of Next Library events. The aim of Next Library events is to involve attendees as much as possible in creating the ideas, topics and format in order to ensure the relevance and opportunities for networking and learning for the attendees from libraries all over the world. From the start of planning Next Library Festival 2017 we published and invitation to participate in shaping the program: Submit ideas here! Next Library around the world: The Next Library bags travel around the world. Send us your pictures!